Rotary Club of Halstead - Welcome! Welcome to Rotary Club of Halstead website, I hope you find it interesting and informative. We are a fairly small, friendly club that is closely involved with the life of the town and surrounding villages. Having taken over as President, I am now very much looking forward to an exciting year ahead. Throughout this period we will be supporting a number of charities including Halstead Hospital and Diabetes UK which are both very close to my heart. Potential members or visiting Rotarians are always welcome. If you are new to the idea of Rotary and don't really know what we are about then please take a couple of minutes to watch the video below. Whilst watching think about how you might contribute to and benefit from being a member of such a fantastic world-wide organisation. It won't give you all the answers but it will be a start then - contact us to find out more. 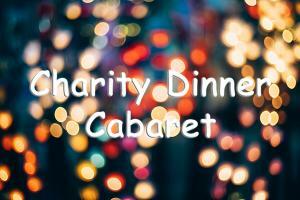 To celebrate the 70 anniversary of our charter Halstead Rotary Club will be holding a Charity Dinner Cabaret on Saturday 11th May. On the 1st & 3rd Thursdays we meet at The White Hart Public House,15 High Street, Halstead, CO9 2AA. Tel: 01787 475657. These are our more informal meetings and we do not have a meal. On 5th Thursdays there is not a Club Meeting.